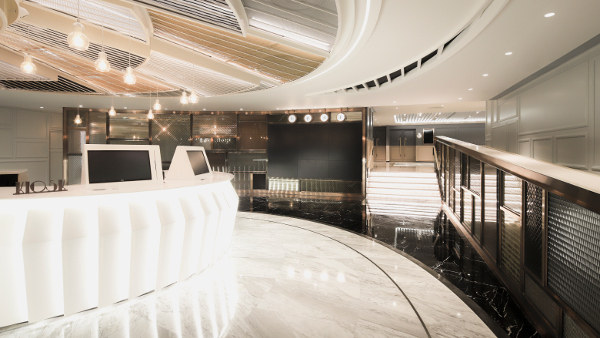 With experience in designing cinema with special theme, we were commissioned to design this new cinema in Hong Kong. The client would like to give a brand new cinema experience for the audience and visitors. We combined the Art Deco style with Contemporary style to give a new design style for the interior design. And we adopted unique craft glass and lots of patterns in the interiors. From the previous experience in designing cinema, we learnt how to balance between the security limitation of cinema and aesthetics. 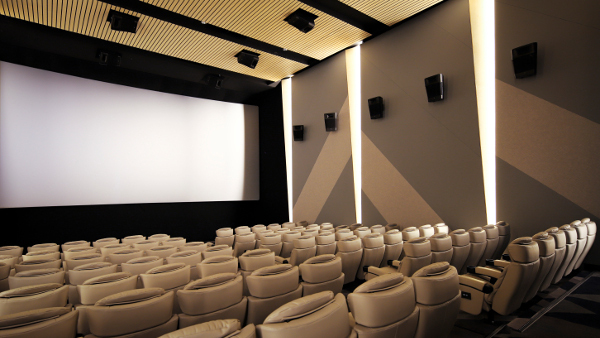 The cinema project is composed by 3 main areas box - box office, VIP room and four theaters. 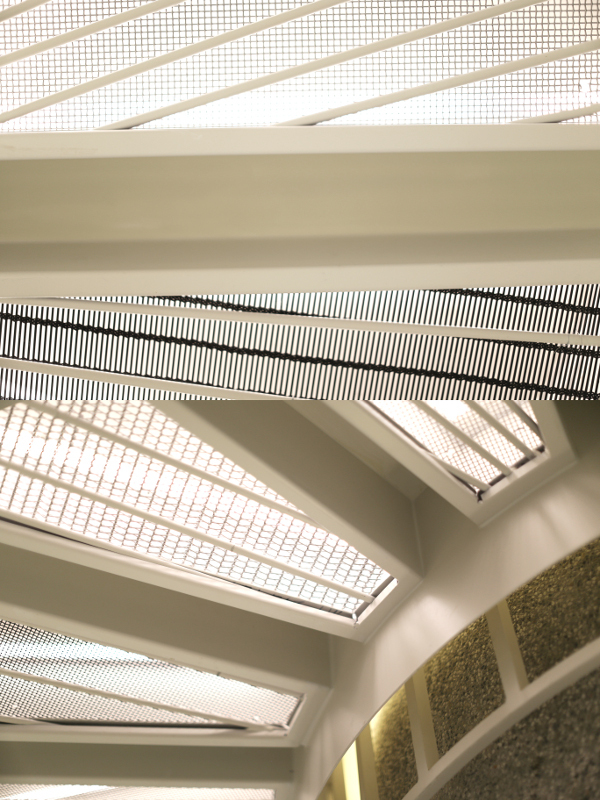 The box office is designed as a huge Chandelier to give an artistic and elegant atmosphere. 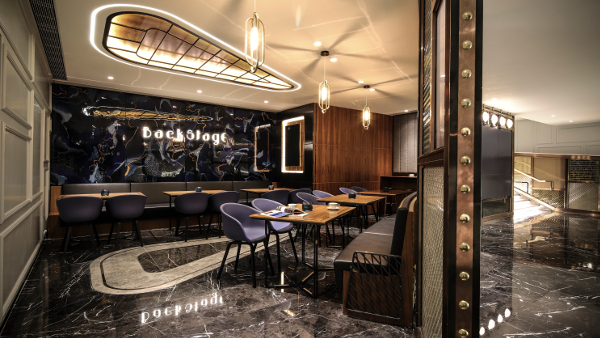 At the back of the box office, customers may sneak peek the VIP room called “BackstagE”, where craft glass and crude wood interior are used as insulation layer, creating a looming effect which triggers customer’s curiosity and ambitions. 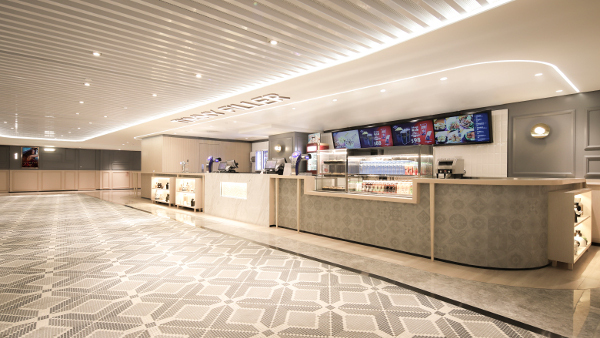 To provide an exclusive experience, we applied theatrical design concept within the cinema houses. This creates a harmonized and solemn atmosphere to allow audience to indulge in the movie not just as an entertainment but also an artistic activity. A huge deformed Chandelier as the main feature of the box office, the light cast reflections on the floor and ceiling to diffuse artistic atmosphere throughout the interior. The magnificence and elegance become the attraction and that’s where the focus point stands. 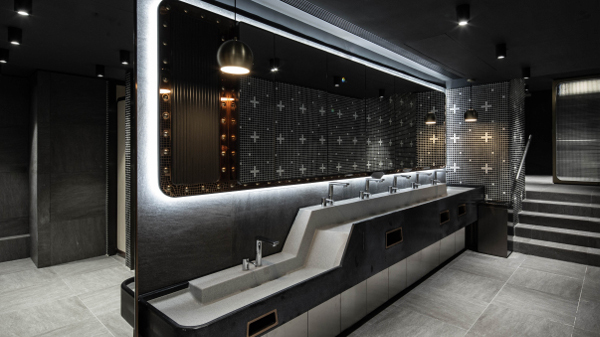 In this project, our concept is to combine 20th Century French Art Deco with a Contemporary style in the cinema design, giving a brand new experience to the guests. We believe the fusion of the style make the design special.